Noosa is a hub of activity at most times with its safe beaches and trendy restaurants close by. It has a great boardwalk with palms to shade your walk or seats to people watch or just relax .... I used muted colours with bright highlights to give a feeling of serenity and peace.....A beach holiday what could be better? 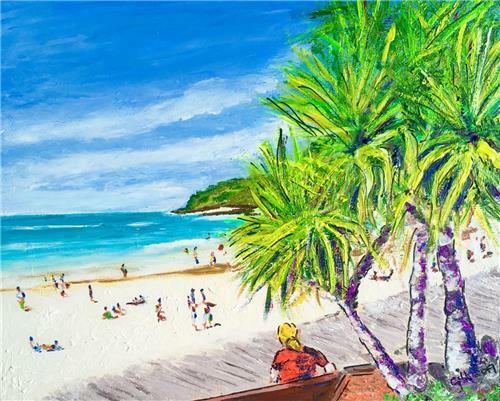 This is a bright and breezy beach themed painting with a summer sunshine vibe!